A few days ago Huawei smartphone company have announced that they should make expensive smartphone for their customer. 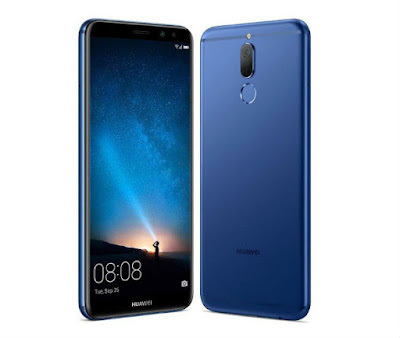 Although Huawei Nova 2i is an mid expensive phone and it is containing a lot of feature. Though many people saying that there are no tones of features. But all the features are pretty good and you should like all of this features. And the most interesting aspect is that the four cameras are connected. There are two cameras front and two cameras behind for capturing the best picture. Basically, because of having these four cameras, the phone is more expensive.Although many would say what would be the four cameras. Many people may be more attracted to seeing four cameras. This smartphone has 13 and 2 megapixel front cameras.These two cameras can be combined together to give us a good quality picture. Today's front camera requirements have increased greatly to broadcast live to Facebook or YouTube. If you think that the front camera of your smartphone will require you, then this phone may be suitable for you. The phone also has 16 and 2 megapixel back cameras. If you think that the front camera should be good as well as the back camera then this phone is perfect for you. 16 and two megapixels can give a good quality picture. Different types of effects can be combined if you want to. Another interesting feature of this phone is it last full HD display. Who usually use large display for playing video game watching YouTube or browsing internet as well as watching movie. This phone uses full view display. As a result we can enjoy a lot by playing video game or browsing internet and browsing YouTube and also we can enjoy by watching movie. They have also used the so-called "Beauty 4.0 algorithm to increase the face beauty performance which looks naturalistic. In addition to good performance, this phone has 4GB ram, 64GB rom, octa-core processor, find battery backup with 20 hours talk time and four G network Mali-T830 MP2 GPU ensures pure classy performance. There is a disadvantage of this phone that it does not have gorilla glass.Considering all other aspects except this, this smartphone is great.Basically this smartphone is for those who love to do videography or photography. Or if you're a youtube video maker, then this phone can be benefit to you. Price in Bangladesh: 24,990 Tk.